The leading Brockton motorcycle accident attorneys at Sousa & Sousa are dedicated to helping motorcycle accident victims get back on their feet. Not only are we experienced motorcycle accident attorneys, but Attorney Sousa has been riding motorcycles since 1975 and has accumulated tens of thousands of miles in trips to Sturgis, South Dakota, Key West, Florida, Smoky Mountain National Park in Tennessee, Ride to The Wall, Washington, D.C., Bike Week in Laconia, New Hampshire, Americade at Lake George, New York, along with daily commuting and nearby scenic rides. As an avid motorcyclist, he knows the pleasures and the dangers of riding and the obstacles a motorcyclist faces after being involved in an accident. Riding a motorcycle is an economic and efficient way to get to almost any destination, but motorcycle riding has its dangers. Because riders are less visible and less protected than motorists, they are also more likely to be overlooked and when involved in an accident suffer serious permanent or catastrophic injuries. Last year, Massachusetts experienced an increase in motorcycle fatalities, even though there was a two percent decrease in deaths nationwide. The number of motorcycle accidents is expected to rise as soaring gas prices make motorcycles a tempting alternative to vehicles. Unfortunately, with the increasing number of motorcycles, comes a higher exposure to risks. Injuries incurred from motorcycle accidents can occur for a number of reasons, but one of the most common is that the other driver failed to yield the right of way and attempted to make a left hand turn in the path of the motorcyclist, because they did not see the motorcycle. 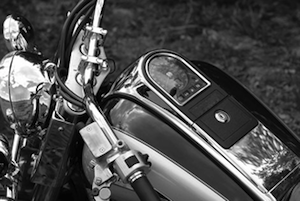 The motorcycle accident attorneys at Sousa & Sousa have handled many wronful death and serious catastrophic injury cases involving a negligent motorist who failed to yield the right of way claiming they did not see the motorcycle. Motorcycle riders are less visible and more vulnerable to accidents caused by negligent drivers. Even low speed collisions can result in serious injuries to the rider or passenger. In many cases, the accident is lethal. When a negligent pedestrian, cyclist, or motorist, causes a motorcycle accident resulting in injury, that party is liable to the injured rider and damages. The rider may pursue a personal injury claim to recover damages arising from the crash. This includes compensation for property damage, bodily injury, pain and suffering, medical expenses, lost income, and permanent injury. If the rider dies from injuries incurred from the accident, surviving family members may also bring a wrongful death claim against the negligent party to recover for their loss. If you have been injured in a motorcycle accident you may be entitled to recover compensation for your injuries and property damage. Unlike automobile accidents, you are not required to incur $2,000 in medical bills, sustain a fracture, loss of hearing, permanent disfigurement or suffer injury resulting in death. These requirements do not apply to an operator or a passenger of a motorcycle, because there are no personal injury protection benefits available to cover medical and lost wages. If you were injured in a motorcycle accident, the experienced Brockton motorcycle accident lawyers at Sousa & Sousa can help. For over 50 years, we have provided the highest quality representation to accident victims in Brockton and surrounding areas of Massachusetts. We are recognized leaders in personal injury and product liability law. We are committed to providing our clients with individualized attention and helping you obtain the compensation you deserve. For a free consultation call our Brockton/Easton office at 508-230-5300 or Taunton office at 508-823-6111 or contact us online.